efficient, so it’s no surprise that brands are turning their budgets towards this engaged audience and away from traditional media. In 2017 it was estimated influencer marketing was worth $2 billion, but this is projected to grow to $10 billion by 2020 – an incredible 400% increase. There’s no doubting that blogging has become big business and it’s not going anywhere soon, but with thousands of sites launching every day and millions competing for an audience, how do you ensure you’re delivering the best experience you possibly can be while creating something brands want to be part of? 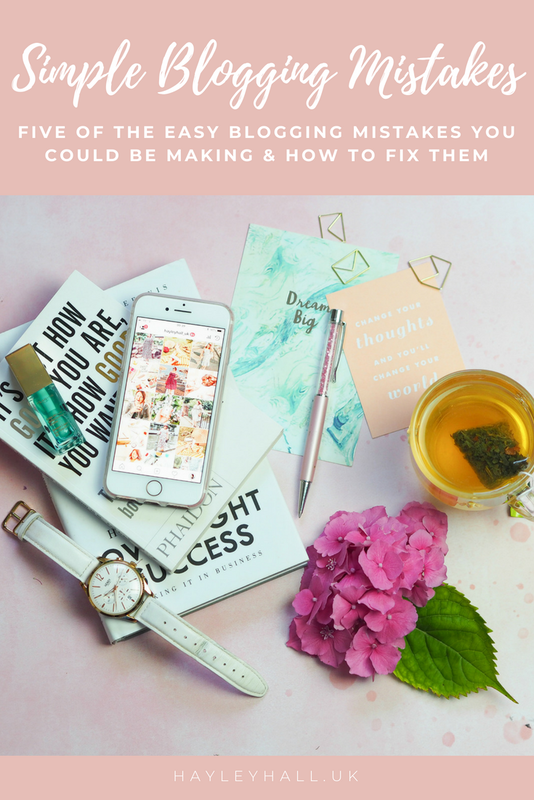 I’ve been blogging for nearly a decade and working in branding for well over that; my experience in the industry (both from a blogger and brand perspective) has exposed me to thousands of sites and thousands of voices, but there are often common mistakes that link them together. Here are five of the biggest blogging mistakes that you could be making, and why they’re so important to get right. It doesn’t matter where your interests lie, but creating an overarching brand helps to offer the reader clarity and serves you well when you’re carving out an identity. Whether you want to be bright and colourful or muted and moody is down to you, but it’s vital to keep it consistent across all of your channels and have it in mind no matter what task you’re undertaking. Your brand could encompass the types of topics you cover, the beliefs you have as an individual, what makes you unique, your tone of voice, your photography style or even the price range of everything you feature; the important thing is to note down who you are as a blogger and how you’ll bring that to life in the coming years. Without this it can be confusing for a reader (us humans like to be able to put people and things in boxes!) and also for brands who may want to work with you. We all make mistakes (I’m not a great speller and still struggle with words like ‘receive’ at the age of 35!) and it’s easier to do so online than anywhere else. We’re often writing in a rush or trying to get everything bubbling away in our brains out onto a page, so more often than not you’ll miss out a word / repeat yourself / not make much sense. It’s so important to go back, read and edit your own work to ensure it flows and takes a reader on a journey – rather than leaving them baffled, confused and loathe to return. Everything you put out into the world should be the best you can achieve in that moment, and proof reading could mean the difference between an okay and a great piece. There’s no doubt that there tend to be blogging themes that are copied more often than Kim Kardashian’s contour, but that doesn’t mean they automatically pave the way to success. So often I see bloggers apparently going through a tick-list of things they *think* they should be doing, rather than focusing on what they *want* to be doing – and what would actually ensure they stand out. You don’t have to spend an afternoon at Peggy Porschen’s or blow your monthly wage on new items from Topshop, nor do you have to carry around the newest Gucci bag or fly away to exotic locations every other week: there are enough people doing just that and killing it, so find what makes you different and roll with it. A blog isn’t a magic place that people just stumble upon in their thousands; in order to gain the attention of readers you have to share your content far and wide, in as many ways as possible (without stumbling over into annoying territory.) You need to find your readers and deliver them great content, rather than just expecting them to discover you, and social media plays a huge part in this. Utilising your platforms to start conversation, share recent blog posts, link through to other channels and boost your search engine visibility is crucial to developing an audience – and from an audience grows everything else. I can’t tell you how frustrating it is to still see contact forms on blogs, or social media icons that don’t actually link through to the right channels. 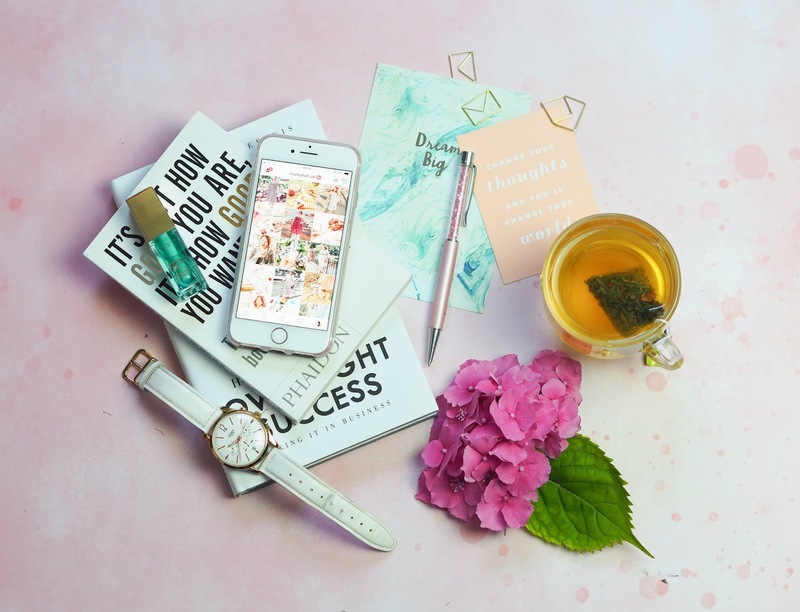 Blogging may have been a somewhat anonymous hobby back in the day, but in 2018 it’s all about connectivity and being easily contactable – by readers and brands alike. I’m not saying you should be sharing everything about yourself, publicly posting your phone number (please don’t do that!) or even being accessible 24/7, but instead ensuring all your contact information is correct and visible across your platforms. If someone wants to ask a question, get in touch about an event or work with you on a forthcoming project, you could be leading them to give up entirely if they can’t actually find out the best way to contact you. successful sites. But there are simple things you can do to make a big difference. achieve your goals and long-term vision. 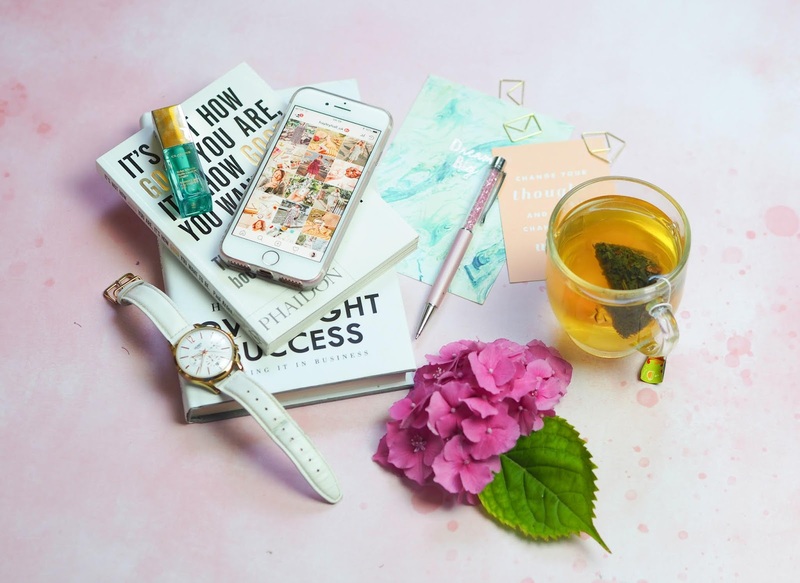 So if you could do with a some bespoke support and advice, let me guide you and ensure you’re being the best blogger you can be. FIND OUT MORE & TAKE ADVANTAGE OF A 50% OFF LAUNCH OFFER HERE. REGISTER FOR MY ‘BE A BLOGGING SUPERSTAR’ E-COURSE HERE, LAUNCHING SOON! Haha glad it's not just me! Receive has never been a problem word for me. I've always had it in my head, "I before E, except after C) but there are tons of other words that I struggle with. I always put my blog posts through a spell checker, because I'm bound to embarrass myself otherwise. It's amazing how many spelling errors I see on other blogs though, when it's so easily avoided. I think the thing I struggle with most (that you've mentioned) is "Not sharing your content" – I share on Twitter, Instagram and Google+ right now.. but I'm sure I'm not really reaching as many people as I could be. I'm not very good at the social side of blogging. I'm trying, but it's very hard! It can be a full time job in itself! Scheduling is your friend, but also the fact that your posts last longer than one tweet or post – you can keep sharing time and time again. There is nothing worse than seeing a blog post with glaring typos! Even though I proof read as I go along, I never share a blog post until I've proof read it again on mobile as soon as it's published!